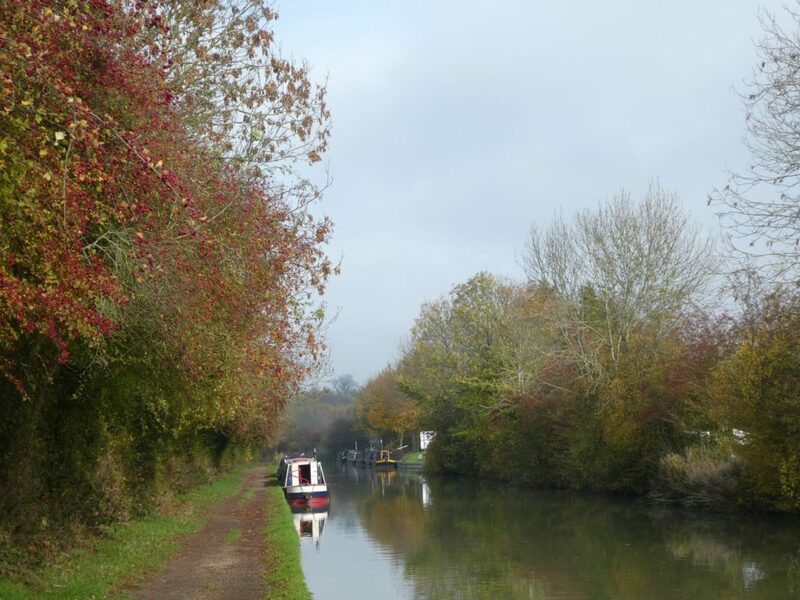 Crick is fortunate to have a lot of footpaths crying out to be walked, so setting out from our mooring we happily scaled the local Everest, Crack’s Hill. 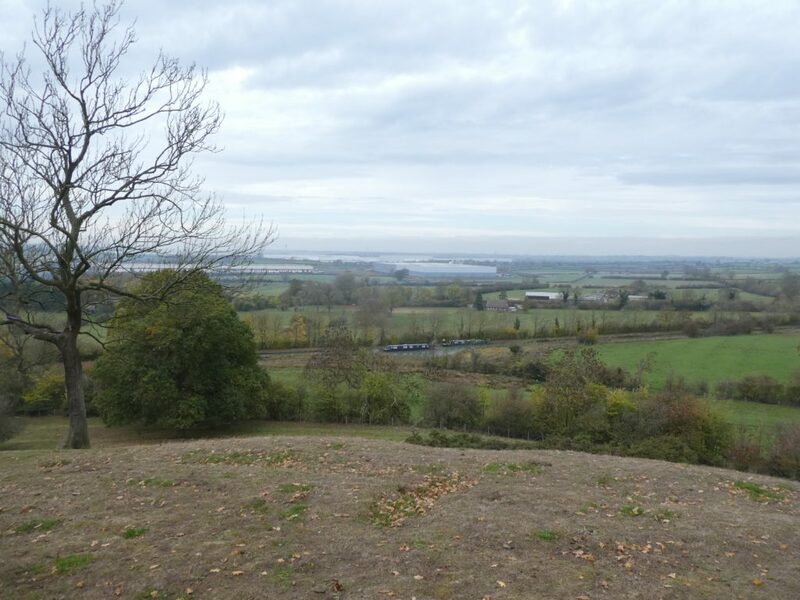 Ok it’s only a mere 25 m above the tow path, but it is the highest point locally and gives stunning views. That’s the DRIFT distribution centre you can see in the distance. 7.8 million sq feet of logistics. Amongst other things, it’s where several supermarkets gather their goodies before sending them onwards to fill the shelves. That’s progress for you. 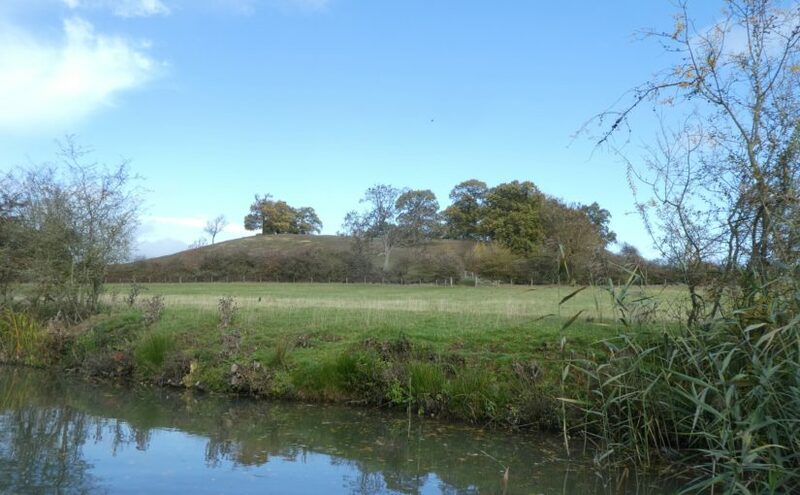 Many millennia ago, Crack’s Hill arrived when the ice age deposited debris as the glacier melted, which is how this landscape became what it is. There have been Neolithic bronze and iron age settlements discoverd here and the Romans also took advantage of this hill as it overlooked their Wattling Street route march. The names Crack and Crick are derived from the Celtic word Cruk which means hill. Crick village got a mention in the doomsday book. 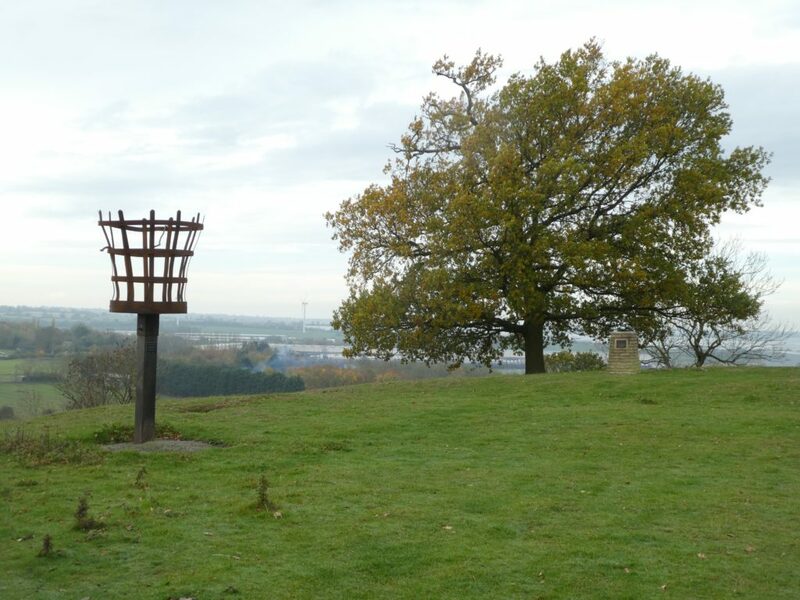 I don’t know if this modern adornment will still be standing next millennia but the current community marked the start of the 21st century by erecting this beacon. I would have liked to have seen it lit. There’s an active community in Crick that has raises money to create and maintain the local woodlands and public spaces. 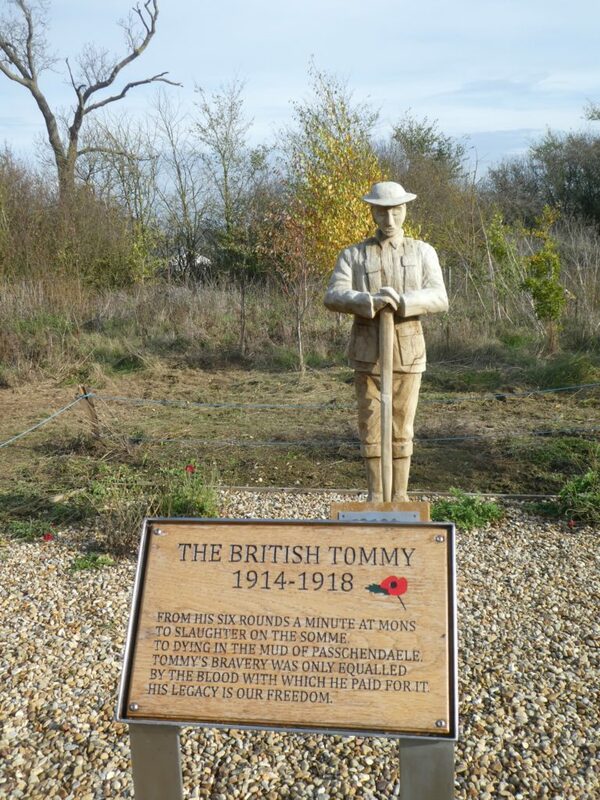 This year they have added a memorial commemorating 100 years of the end of WW1, I quite like that the area behind Tommy is rough ground.